From learning to read and write to studying Shakespeare, diagramming sentences, and crafting research papers, our students receive a firm foundation in English. 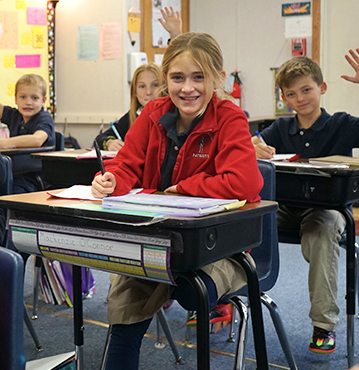 Our elementary and middle school students build strong math skills using the BJU curriculum. 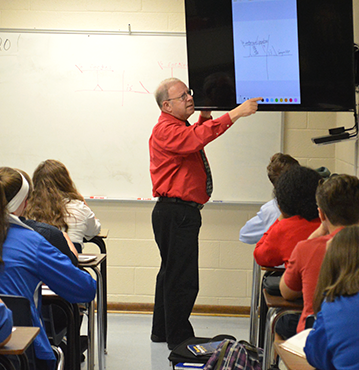 Secondary math classes are leveled according to ability level and include various levels of Algebra and Geometry in addition to Business Math, Precalculus, and Calculus. Learning from the past and thinking about the future, our students discover the world around them. Growing to become responsible citizens who impact the world for Christ in positive ways is one of the goals we have for our students. Bible truths are integrated into all subject areas at CCS. Students at every level learn to understand and apply Scripture to their lives through Bible classes and chapel services as they develop a Christian worldview. Children are curious. What better way to foster that curiosity than through engaging learning opportunities in science as they explore our world. 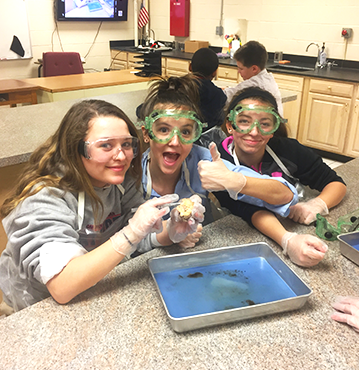 At the high school level, students take Biology, Chemistry, Physical Science, and Health classes. Some venture into a study of Anatomy and Physics. The benefits of learning a second language are numerous. Since Spanish is the second most commonly spoken language in the US, our students begin learning the language at a young age and continue through high school. We realize the importance of technology in the lives of our young people. Younger students learn by playing fun games, middle schoolers learn proper keyboarding techniques, and older students have opportunities to study graphic design and web development. Our Patriot Media Crew and daily video announcements offer middle and high schoolers. Students use their God-given talents in music, art, drama, speech, and other areas as they prepare for an annual Fine Arts Competition as well as perform in several school programs throughout the year, like Veterans’ Day, Grandparents’ Day, Christmas Program, and Spring Program. Athletic opportunities abound at CCS. Not only do students take regular PE classes, but beginning in middle school, students have the opportunity to play competitive team sports. Our middle school, JV, and varsity sports teams include: boys’ and girls’ soccer, boys’ and girls’ basketball, girls’ volleyball, and boys’ baseball. Children with learning differences are supported through our Discovery educational therapy program run by our own certified NILD therapist. 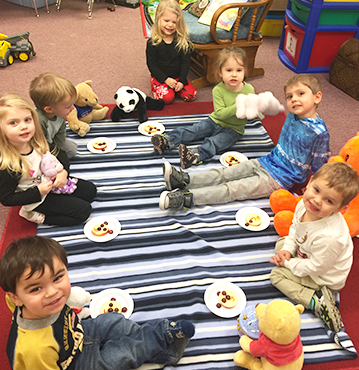 The program supports a wide variety of learning differences. Students may enroll in educational therapy sessions held throughout the school day. Robotics, Karate, and Art Club are a few of the After-School Clubs offered to students who wish to pursue a passion or simply try something new. We want for our students to have exposure to a wide variety of learning opportunities. Secondary students may choose from elective courses that include sign language, weight lifting, chess, missions, and journalism, and others. Click below to see our Course Selection Guide, which includes dual enrollment courses, as well. Find out what’s offered here at CCS and learn how high school students can earn college credits while still in high school. CCS offers 4 different diploma tracks: (1) College Preparatory, (2) Advanced College Prep, (3) Honors College Prep, (4) Advanced Honors College Prep. Click below to see the requirements for each. CCS is partnering with Liberty University Online Academy to help students get a head start on college classes. Click below to learn more.